Will charge, condition and restore up to 2 batteries at the same time, and is fully automatic. Includes connectors for 2 batteries. 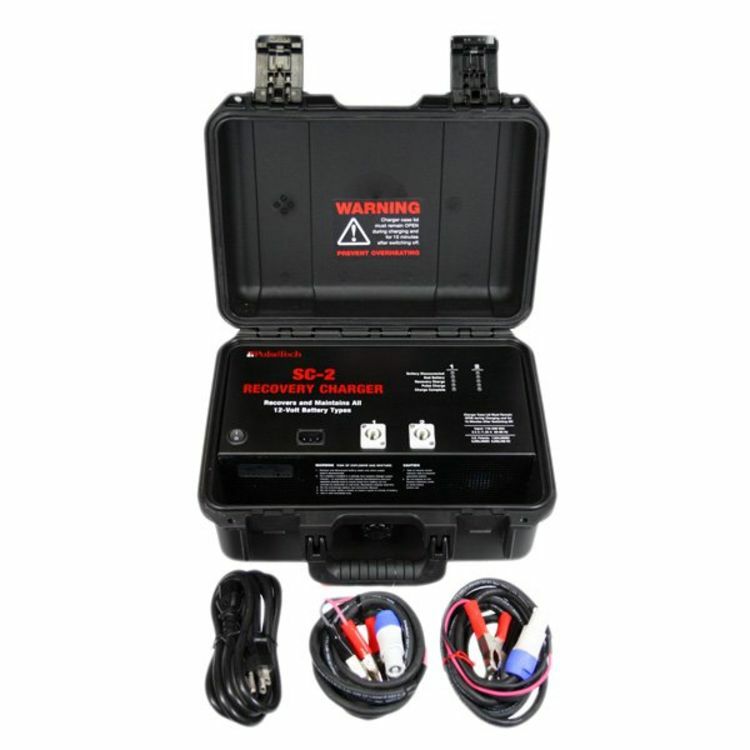 The 2-Station HD Recovery Charger is a 12-Volt, 6 amp per channel, Dual-Station recovery charger that uses universal electrical input and can operate anywhere in the world. Both of the charge stations operate in isolation from one another, allowing different battery brands to be charged safely at the same time saving both time and money. The SC-2 is compact and portable allowing you to recover batteries wherever they’re being stored. The two independent channels profile the condition of each battery and then automatically cycle through a recovery and charge process that applies the correct charge (variable up to 6A) and our optimized high frequency, patented Pulse Technology waveform to each battery. This advanced technology removes sulfate crystals from the battery plates, increasing the battery's ability to accept, store and release energy, extending battery life up to 5 times. Five LED indicators next to the cable connections show the status of both battery channels. With a one switch control and progressive, easy-to-understand LED information display (battery disconnected, bad battery, recovery charge, pulse charge, charge complete) the SC-2 is both easy to use and understand. This unit is completely safe with no danger of overcharging or overheating allowing batteries to remain connected and removes the need for unnecessary handling, reducing the need for monitoring and reducing the manpower hours needed. 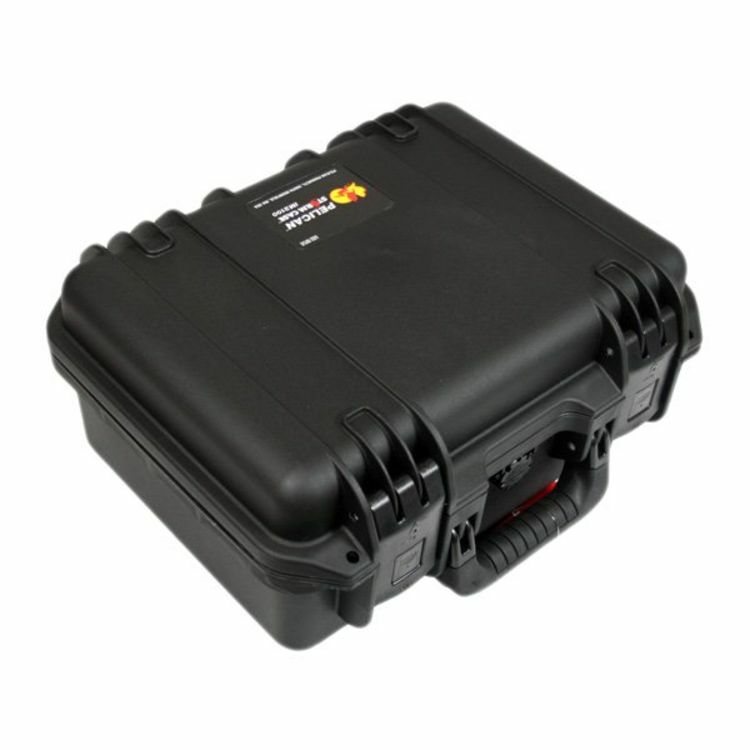 The flexible, replaceable cables fit in the case for easy storage, They are easy to disconnect and safely move to the next battery since no current flows through the cable until connected to the battery. 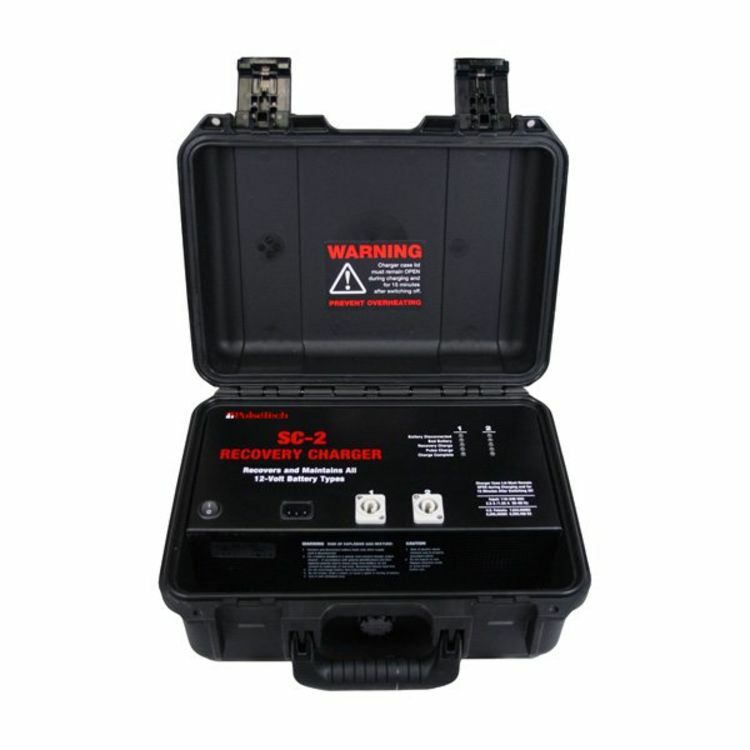 Works on all types of 12-Volt flooded, VRLA and AGM lead-acid batteries. *Free Ground shipping only applies within the lower 48-States. Do you own the 746X814? Please, tell us what you think about it. It helps us provide you with better products. Please note that it may take up to 72 hours for your review to appear.